Discussion in 'General UTV Discussion' started by Baja Designs, Mar 3, 2015. We are still aiming for a release in the first quarter of 2019. Our ETA at this time is towards the end of February or March. The goal is to start pre-orders at the end of this month or in February. I'll post details as we get closer to starting pre-orders. Unfortunately, we ran into a delay for these lights. There are a few details we are working out before these lights can be released to market. We are aiming to provide the best SAE approved lighting as soon as we can. KTM 1290 Super Enduro rocking Dual LP9s and Dual S2 Sports. Our Forum Discount is still active! Code: BDForums saves you 10% OFF MSRP + gives the option of $5 shipping to the Lower 48! These zones have been designed by Baja Designs: The Scientists of Lighting. Zone 1 - Dust/Fog: This zone illuminates the area directly in front of the vehicle. Mounting these lights low on the bumper eliminates glare from dust and fog. Zone 2 - Cornering: This zone provides cornering light which is necessary to drive comfortably at speed. By toeing these lights out 10°-15° a smooth field of light is achieved, eliminating the feeling of tunnel vision. Zone 3 - Driving Combo: This zone is your primary driving light. These lights are mounted in the middle of the front bumper to avoid glare off of the hood or from dust and fog in front of the vehicle. Zone 4 - Spot: This zone is your first level of long distance lighting. Lights intended for this zone will give you the distance needed to travel at speed. Combined with zone two lighting, a smooth transition is achieved creating less stress on your eyes. Zone 5 - Racer Edition Spot: This zone is necessary for triple digit speeds, or wanting to see miles down the road. This is the only forward projection pattern we recommend mounting along your roofline (wider patterns can contribute to glare). Zone 6 - Rock/Dome Lighting: This zone is used for wheel well lighting. 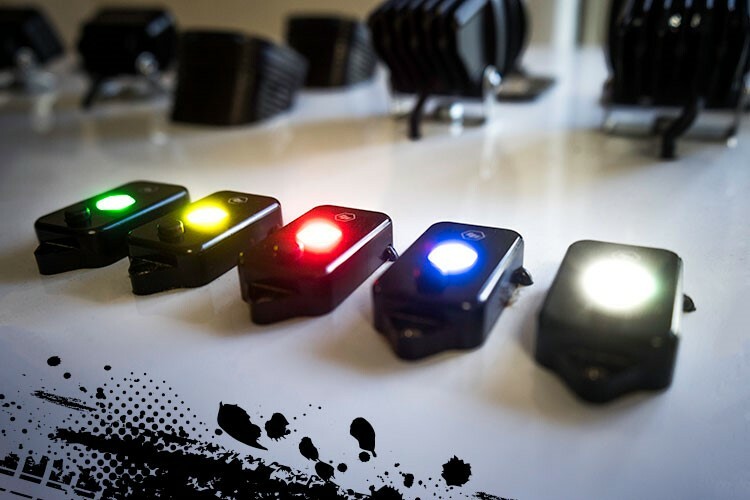 This light is perfect for truck, jeep, buggy and UTV applications. Zone 7 - Work/Scene: This is a true flood pattern. 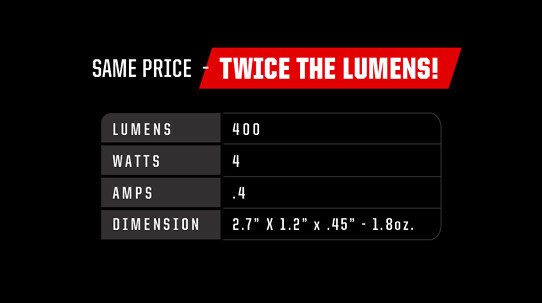 Excellent work light or “scene light” with an extremely smooth, round pattern. This pattern is not suitable for forward projection applications. Zone 8 - Backup Lighting: This zone illuminates the area directly behind the rear of the vehicle. It is recommended that these lights be mounted on your rear bumper or cargo rack. Bryce Menzies #AWD laser equipped Trophy Truck is race ready for The Mint 400! Looking to add performance on and off the street to your 450L? This is the kit for you, it utilizes your factory wiring and bar switch giving you a true plug and play setup with Hi/Lo functionality! The kit includes a mounting bracket that uses factory tabs, one Squadron Pro, and one S2 Sport.